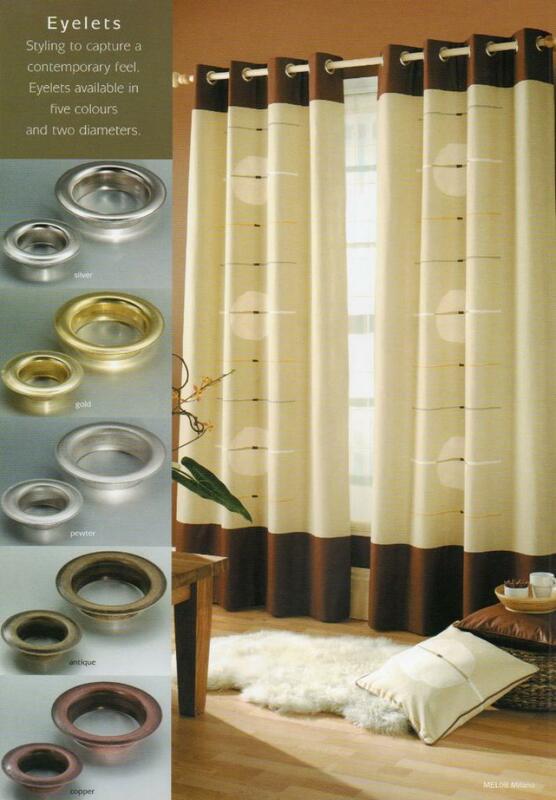 The Eyelet Heading curtain is a modern style for our modern living, which allows the curtain pole to pass through the actual curtain making the pole rings redundant. There are different sizes and colours of eyelet ring to choose from, for the different size of curtain and pole. 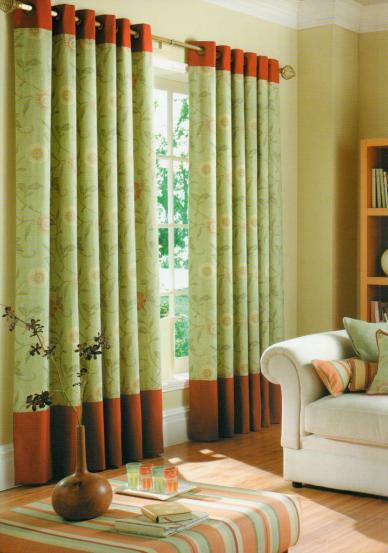 This is a very neat and tidy stlye of curtain heading, with very little daily dressing needed. 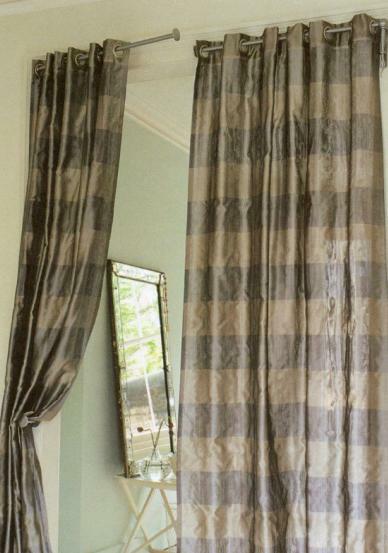 Metal Poles are the best to use for Eyelet Heading as the Eyelet ring which is fixed in place in the curtain, will glide over the pole whereas wooden poles are soft so the Eyelet ring mixed with the weight of fabric will dent the wood, or Grab the wood making it almost impossible to pull the curtains.